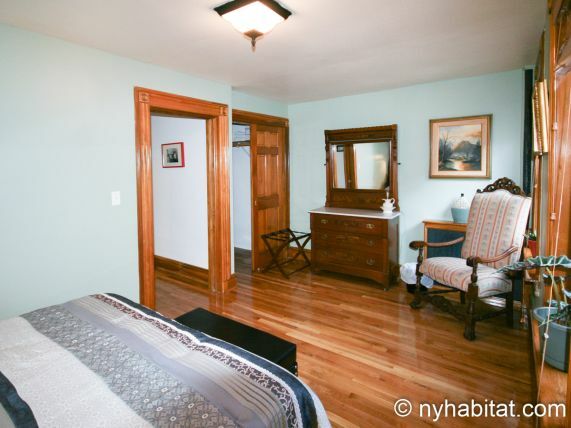 Enjoy this furnished one bedroom apartment located in Bedford-Stuyvesant, Brooklyn. 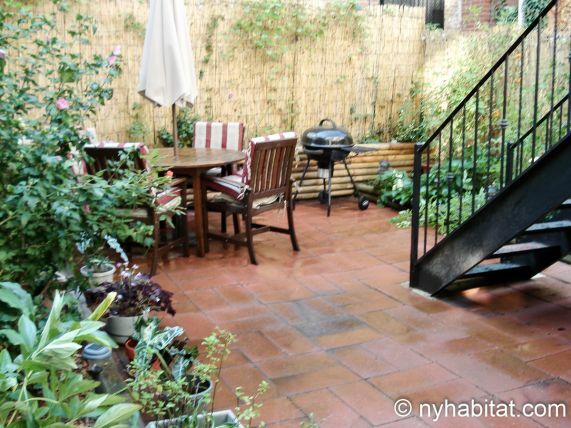 This apartment is situated on the ground level of a 4-story townhouse, where you will have easy access to the tranquil community garden. The townhouse is secured with a gate and buzzer entry system. 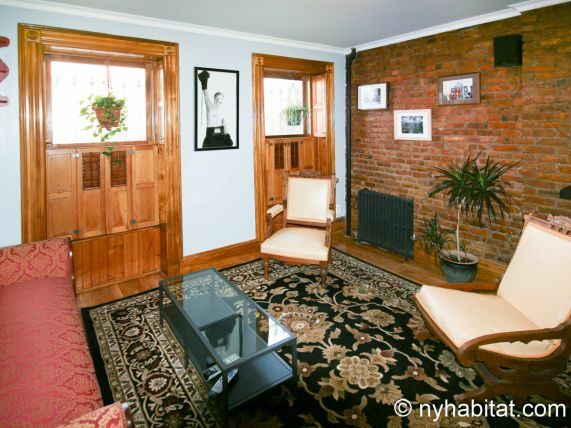 Lined with hardwood floors, this apartment features exposed brick and a contemporary welcoming décor. 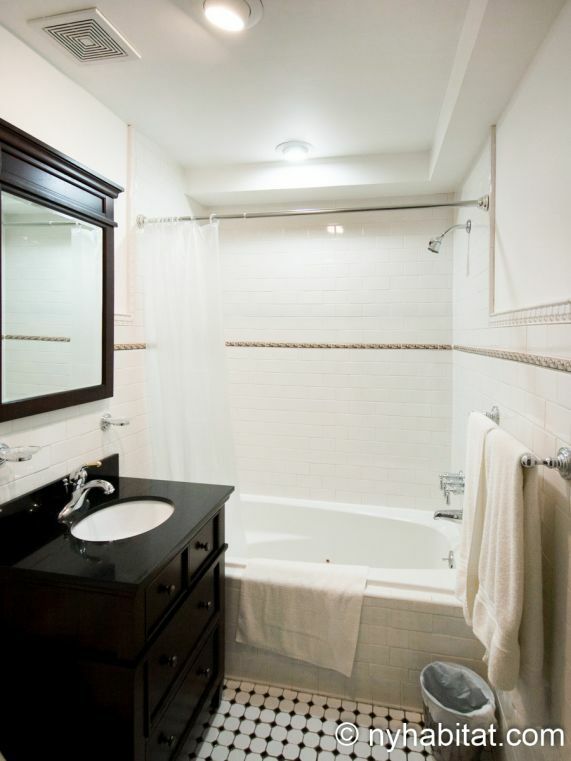 There is a fully equipped kitchen and the living room has a flat screen television as well as a couch and several seating. The bathroom features a deep soak tub, and the bedroom has a door the leads to the communal garden and patio. The garden has outdoor furniture and BBQ, making it a great spot for relaxing and fresh air! 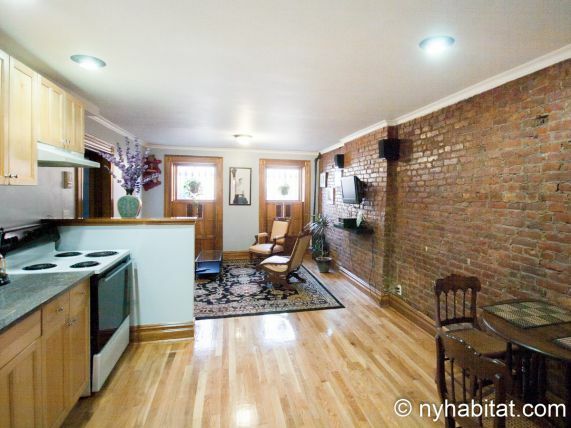 Experience the Brooklyn life from this Bedford-Stuyvesant one bedroom apartment. This neighborhood has places to explore such as the parks, different restaurants and an eclectic nightlife. If you enjoy spending the day in the park, you can venture to the Herbert Von King Park, just three short blocks from this apartment. There are also two different playgrounds just two blocks south of this accommodation. Just south of "Bed Stuy" you will find Crown Heights, a lovely neighborhood also known for its historic brownstones, and to the west is Clinton Hill, with happening restaurant scene. For times when you want to dine out on the town, you can go to Peaches Hot House for some southern comfort food, or maybe if you prefer Italian, you can try out Saraghina on Halsey Street just half a mile (0.8km) away. If you prefer to cook your own food, just stop by the local grocery store at the end of the block to pick up some fresh ingredients! The nightlife in Bed-Stuy has a lot to offer, ranging from vivacious dance clubs to the laid back jazz lounge. Finding a place that is suitable for your likings should be easy. 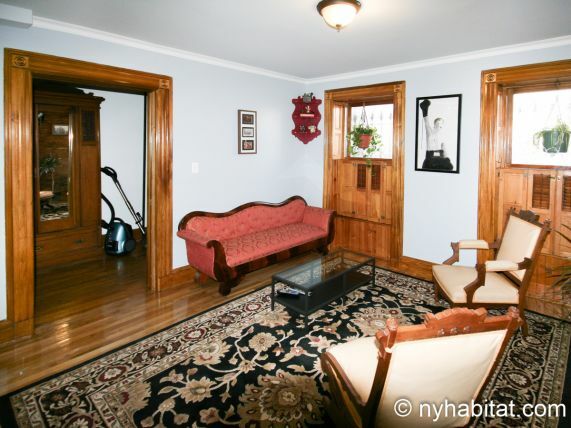 Make the most of your time in Brooklyn by exploring the Bedford Stuyvesant neighborhood and its surroundings! 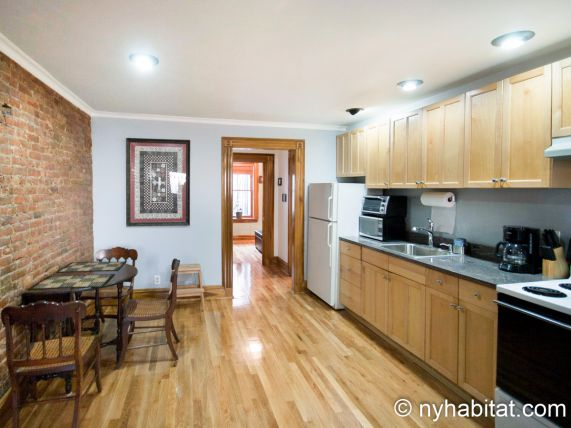 If you want to venture to other areas in Brooklyn or New York, you can use the subway to catch the C train just 8 blocks south of this apartment. You can also find the G train at the intersection of Bedford and Lafayette Avenue, just 1 mile (1.6 km) away. 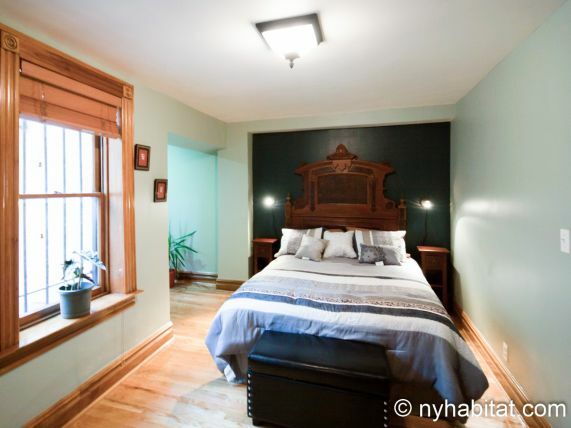 Enjoy your time in Brooklyn, living like a New Yorker from this one bedroom apartment.